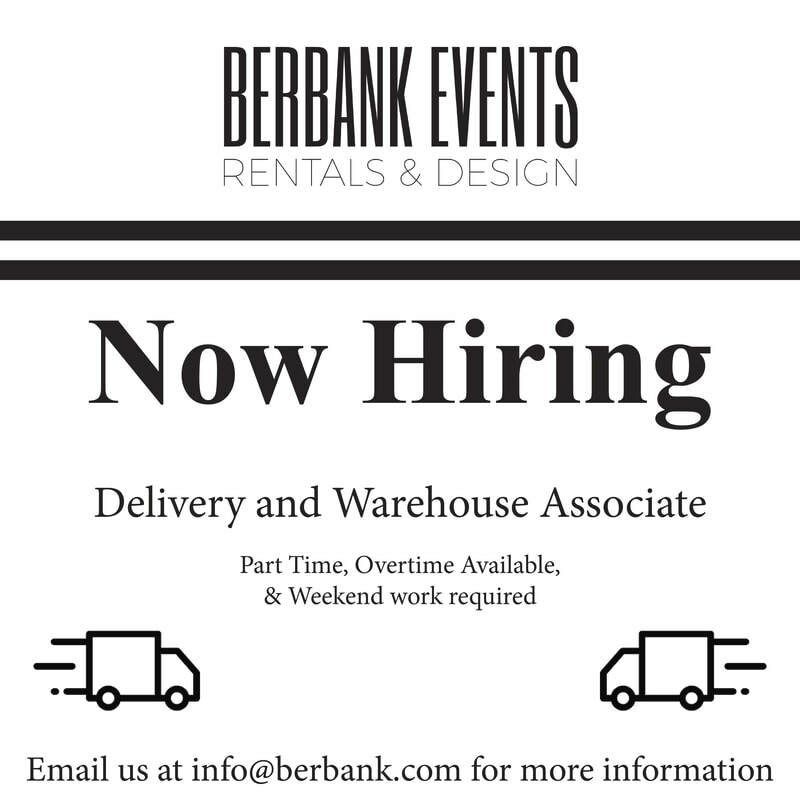 Berbank Events is growing & needs talented people with a passion for events & excellent customer service to join our team! Current Opportunies are listed below. Please submit cover letters and resumes to info@berbank.com. 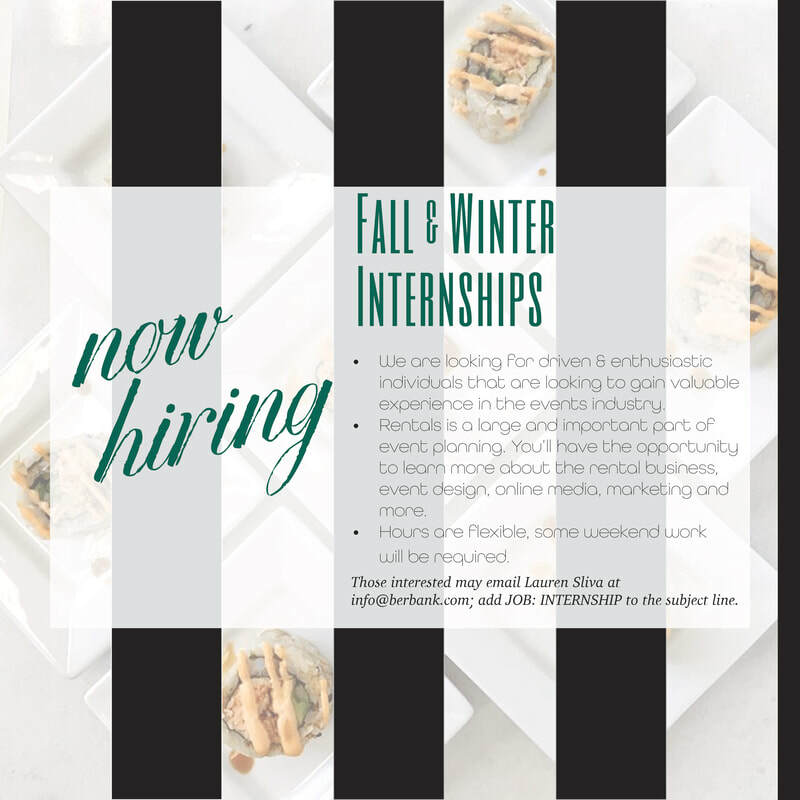 If you are a good fit, we will be in touch as soon as possible. Thank you for your time!